Our delicious extra-large meat skewers are prepared on the charcoal grill and served with oven-fresh rolls. 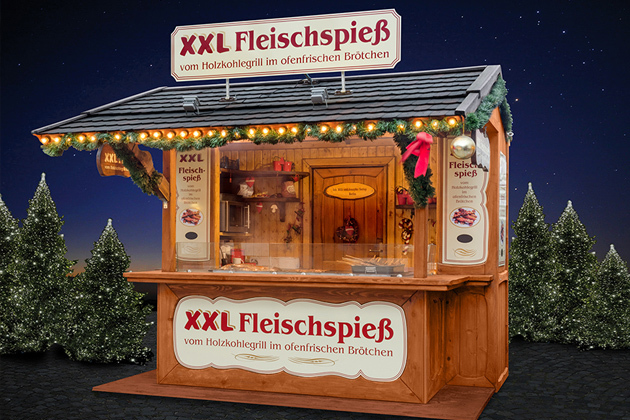 The Christmas market hut can be flexibly positioned thanks to the compact base mass. Fresh water and sewage connection are required.